Can the US Woo Africa From China? U.S. editors Ankit Panda and Zachary Keck discuss U.S.-China competition in Africa. 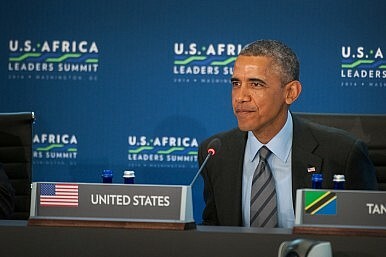 In this week’s podcast for The Diplomat, U.S.-based editors Ankit Panda and Zachary Keck discuss U.S.-China competition and cooperation in Africa, and the upcoming 2014 ASEAN Regional Forum. Assessing ASEAN's Geopolitical Relevance After 50 YearsWhy North Korea May Define US-China Relations in the Trump EraWhat's In Store For US-China Relations Under President Donald Trump?US Defense Diplomacy in the Asia-Pacific: What Obama and Carter Will Leave Trump and MattisChina's 'New Normal' in 2015: Cause for Concern?